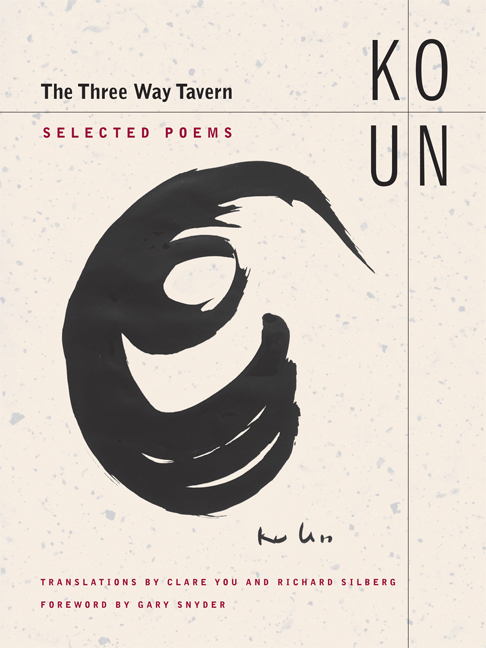 Ko Un, the preeminent Korean poet of the twentieth century, embraces Buddhism with the versatility of a master Taoist sage. A beloved cultural figure who has helped shape contemporary Korean literature, Ko Un is also a novelist, literary critic, ex-monk, former dissident, and four-time political prisoner. His verse—vivid, unsettling, down-to-earth, and deeply moving—ranges from the short lyric to the vast epic and draws from a poetic reservoir filled with memories and experiences ranging over seventy years of South Korea's tumultuous history from the Japanese occupation to the Korean war to democracy. This collection, an essential sampling of his poems from the last decade of the twentieth century, offers in deft translation, as lively and demotic as the original, the off-beat humor, mystery, and mythic power of his work for a wide audience of English-speaking readers. It showcases the work of a man whom Allen Ginsberg has called "a magnificent poet, a combination of Buddhist cognoscente, passionate political libertarian, and naturalist historian," who Gary Snyder has said is "a real-world poet!" who "outfoxes the Old Masters and the young poets both," and who Lawrence Ferlinghetti has described as "no doubt the greatest living Korean Zen poet today." Ko Un is author of Beyond Self: 108 Korean Zen Poems and The Sound of My Waves: Selected Poems of Ko Un as well as more than 100 volumes of poetry, short stories, fiction, criticism, essays, and children's literature, many of which have been best-sellers. His many awards include the Korean Literary Writers Award, Manhae Literary Award, and the Daesan Literary Award. Ko Un was Visiting Professor at the University of California, Berkeley, and Harvard University. Clare You, Chair, Center for Korean Studies, University of California, Berkeley, has received the Korean National Silver Medal of Culture, and is author of two language textbooks including College Korean. Richard Silberg, associate editor of Poetry Flash, is author of five books of poetry and the book of essays Reading the Sphere. You and Silberg have also co-translated the poems of Oh Sae-Young.